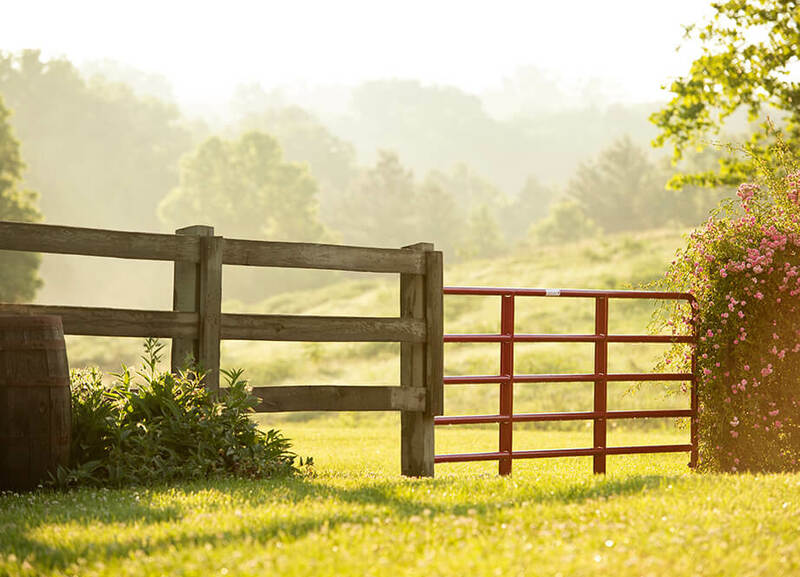 “You’ve Got to Take Some Chances"
Tarter Farm and Ranch was founded in 1945 as the Tarter Gate Company when Chrisman Vanwinkle “C.V.” Tarter moved his family to Dunnville, KY and began clearing his land and cutting timber to manufacture wooden gates. Using only hand tools, the Tarter’s made 32 wooden gates a week and C.V.’s son Roger sold them for $2.50 - $3.00 throughout the Bluegrass area. As business continued to grow, Roger and his wife Vivian bought the company from his father, and by 1950, had five men hauling gates into five states. Over the years, the types of gates continued to evolve, incorporating steel uprights and wood panels. By the late sixties, Tarter was producing steel, spot welded and tubular gates, finally installing their own tube mill in the early seventies. Roger said his parents taught him how to be a good business man and to always be honest. “If you can’t take a man for his word, there’s not much to him, is there? You’ve got to set goals. And you’ve got to take some chances. Most of the major decisions I’ve had to make have been the right ones,” he said. Roger passed these values onto his sons, Donald and David when they took over the company. They expanded the business to include steel gates and other farm and ranch equipment. In 2008, as the product line continued to grow, the company name changed from Tarter Gate Company to Tarter Farm and Ranch Equipment. Currently, the fourth generation of the Tarter family oversees what has become the largest manufacturer of farm gates and animal management equipment in North America. State-of-the-art production facilities in two Kentucky communities represent over 1 million square feet of manufacturing space. Tarter also owns a full manufacturing and distribution center in Corinne, Utah. The Tarter family continues to value the power of an American, family-run business by providing long-lasting, quality products to farmers and ranchers. Tarter Farm and Ranch Equipment - improving life on your land since 1945. – Quotes provided are excerpts from an interview by Charles Pearl, appearing in The Casey County News in August of 1980.